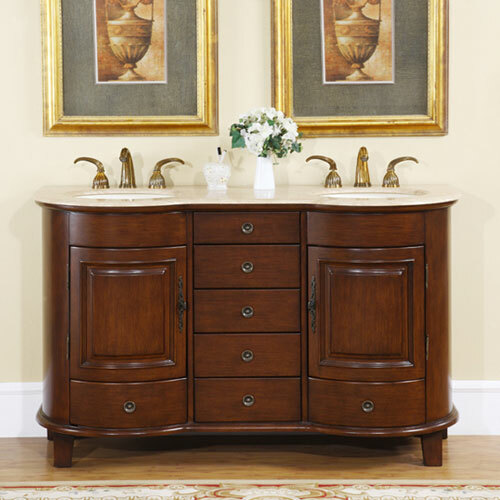 The Fratello Double Bath Vanity features sleek curves that sets it apart from boxier vanities. 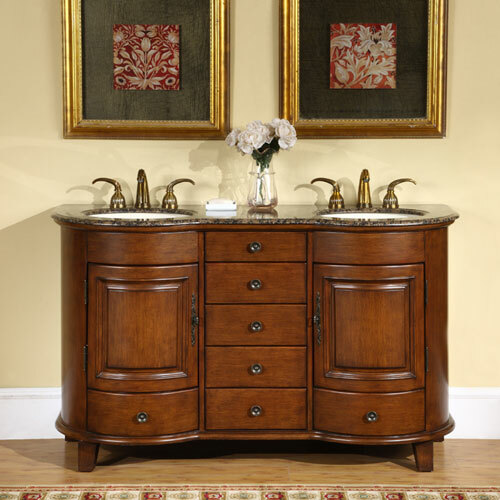 The counter top is made from Roman Vein-Cut Travertine and arrives pre-drilled for faucet installation and also include an ivory undermount ceramic sink. 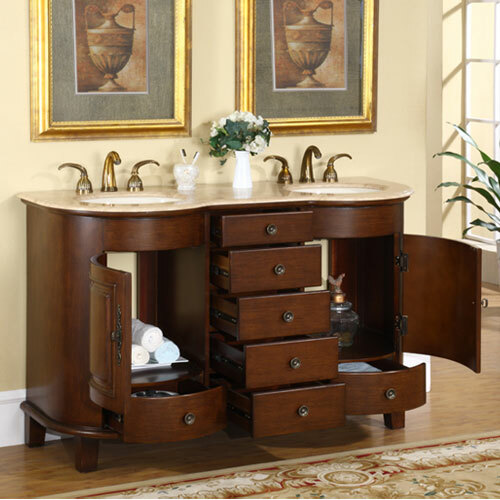 This vanity also offers a lot of utility in terms of organization. 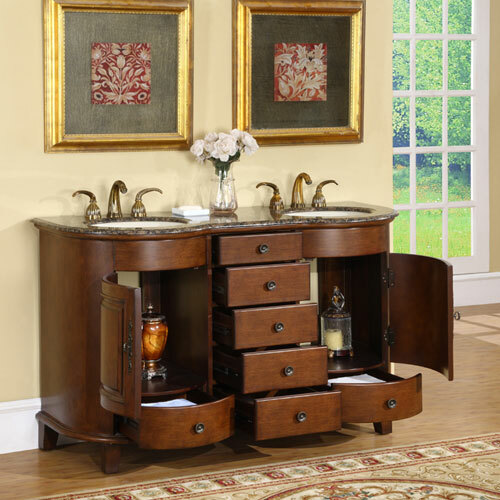 It boasts two doors and seven drawers.